In this previously aired webinar on February 28, 2017, you will learn how shifting long-term patterns of economic activity could change demand, competitive position, vulnerability, and investment requirements for airports, marine ports, rail, and highway systems. Long-range investment strategies are subject to a wide range of risks in this ever-changing world. Arm yourself with the right data to get in front of shifting global and domestic circumstances that may affect your needs and priorities. Assess ways to make your infrastructure facilities and systems more resilient by considering the effects of long-term changes in demographic, freight, and trade patterns. 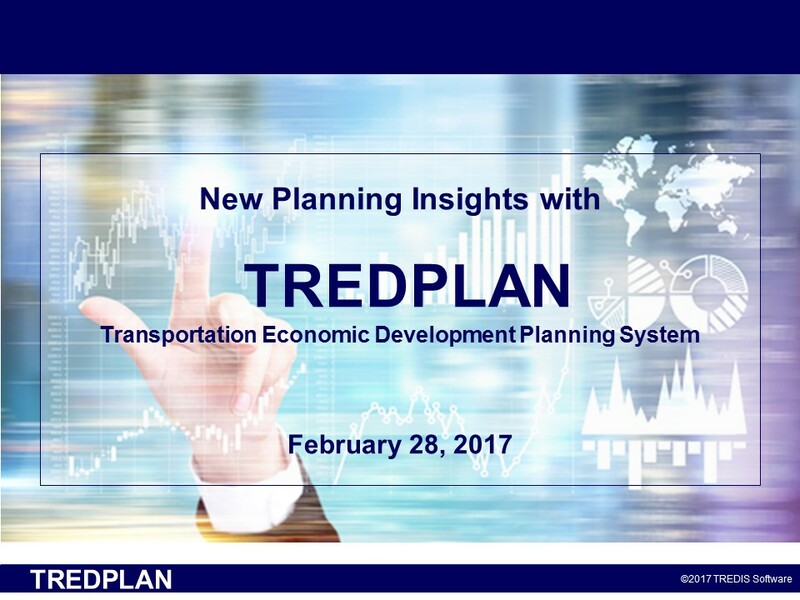 TREDPLAN is the first and only system in America that provides public agencies and private businesses with a systematic way to understand how a changing economy will affect their planning priorities. Two years in the making, TREDPLAN incorporates a massive economic and trade database combined with a unique analysis engine. It enables you to explore future risks and opportunities.